An influential literary critic and political activist, Arshag Tchobanian would become a sought-after name in the first half of the twentieth century. He was born in Constantinople on July 15, 1872. He lost his mother when he was a year old. After graduating from the Makruhian School in his neighborhood of Beshigtash (1886), he entered the newly founded Getronagan (Central) School in 1886. He graduated in 1891, when he had already started his literary contributions to the most important newspapers of the time, Arevelk and Hairenik. He published his first two books in 1891 and 1892. He taught at his alma mater in 1892-1893 and, after a year sojourn in France, continued his teaching. In 1895 he published a literary monthly, Dzaghig, but, due to the political repression and the Hamidian massacres of 1895-1896, he decided to leave Constantinople for good. He settled in Paris, where he would live the rest of his life. Tchobanian became the leading voice of the Armenians in France and a promoter of Armenian literature and the Armenian Cause in Europe, with many publications in various journals and newspapers, and a series of books in French, along with his own wide production in Armenian. Among his books in French, the most important would be the three-volume Roseraie de l’Arménie (Rose Garden of Armenia), dedicated to Armenian medieval poetry, a subject of which he was a respected translator and scholar. 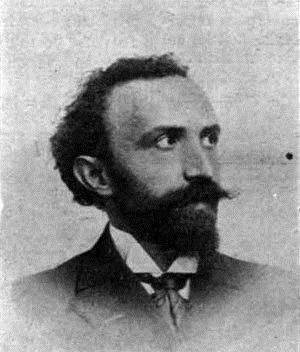 Between 1898 and 1911, he published the literary journal Anahid, which would become an influential name in Armenian literature. He also wrote for many Armenian newspapers throughout the world. Tchobanian adopted ideological positions closer to the Reorganized Hunchakian Party, created after the division of the Hunchakian Party in 1896. Later, he entered the ranks of the Liberal Party, created after 1908 in Europe by members of the Reorganized Hunchakian Party. The Armenian writer was an activist of the Armenian Cause during World War I and denounced the genocidal policy of Turkey. He was the editor of the newspaper Veradznunt from 1917-1919 and became a member of the Armenian National Delegation led by Boghos Nubar in February 1919. He was sent to Lebanon and Cilicia in 1920 to negotiate with the French authorities, at a time when Cilicia was still under French mandate, before being abandoned to the forces of Mustafa Kemal. In October 1921 Tchobanian entered the Democratic Liberal (Ramgavar Azadagan) Party, founded in Constantinople, and was elected first chairman of its Central Board. During the 1920s, along with the party, he adopted a position favorable to cooperation with Soviet Armenia to further its economic and social development, including the settlement of Armenian refugees and orphans. He visited year the United States from coast to coast in 1926-1927. In 1929 he relaunched Anahid, which would last until 1949, with a pause between 1940 and 1946 due to World War II. Tchobanian would continue his literary and public activities until his death on June 8, 1954, killed by a car when crossing a street in Paris at the age of 82.